Teachers often hand-pick educational technologies to ensure quality and interesting teaching. Many educational districts rely on Board of Cooperative Educational Services (BOCES) to help them obtain various educational resources. BOCES is a win-win situation for school systems as it not only makes resources affordable, but also allows for teachers to experience the services prior to choosing them. BOCES achieves this through its Digital Age Technology and Education Program (D.A.T.E./Model Schools), which offers professional development opportunities for educators. With Model Schools, teachers continue to improve by exploring new ways to design and deliver curriculum in the 21st century classroom. 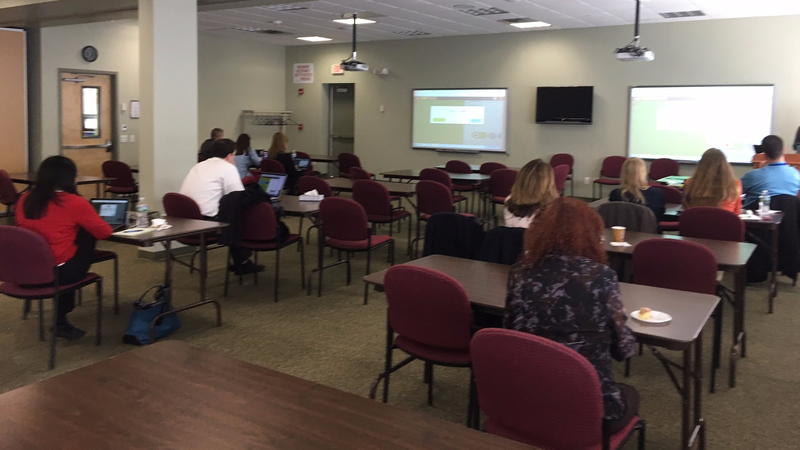 Last week, BOCES held a CodeMonkey training session for educators interested in experiencing CodeMonkey. All attendees received two hours credit towards their annual professional development hour requirement, which is approximately 15-20 per year. For two hours, Lunch & Learn attendees became “students” with a clear mission: To learn how CodeMonkey can help their students discover their ‘inner coder’. Attendees got to explore CodeMonkey from a teacher’s own classroom experience and hear about how her students have benefited from CodeMonkey. The session was conducted by a CodeMonkey-certified educator and 3rd Grade Teacher who uses CodeMonkey in her Coding Club for fourth and fifth graders. The event was attended by educators, technologists and district coordinators of educational technology. After a short demo, the attendees were presented with the Teacher’s Dashboard, showed how it can be used to identify students experiencing difficulty and review their solutions. 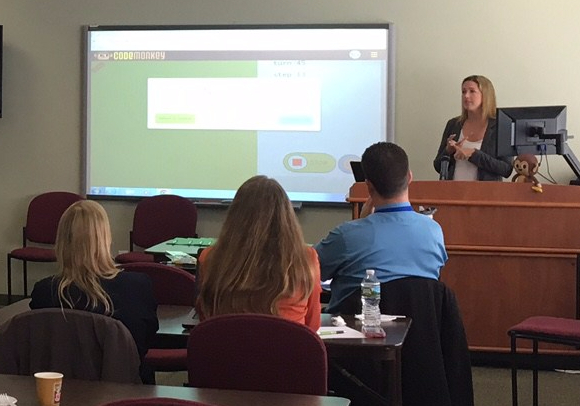 Attendees were presented with real-time data to see how they can use the gradebook with their students. Over small group discussions, the attendees discussed the importance for all students to learn computer science and programming sometime during their K-12 experience. CodeMonkey Training Sessions aim to help educators develop professionally in a friendly and open environment. We see these training sessions as the ideal way to get a taste for how easy it is to integrate the CodeMonkey gamified learning experience into the classroom. Very interesting technology, where can I learn more about it? Thanks for your interest! I am getting more information for you and will let you know as soon as possible.